I’ve always daydreamed about what working at IKEA must be like: Creating whimsical reindeer-shaped furniture, testing new meatball recipes, and dreaming up adorable product names. But as the Wall Street Journal reveals today, the process of developing products at the world's largest furniture retailer is an epic, efficiency-driven numbers game. The WSJ got an in-depth look at the business of redesigning IKEA’s kitchen for the first time in decades, and it’s a harrowing tale. The company’s kitchen is its most complex product: A 1,100-component system that is tailor-fit to each customer’s home, costing around $3,000. IKEA sells about a million of them a year. So how do you design a system that will be sold to millions of consumers in hundreds of different countries for the next few decades? Very slowly. 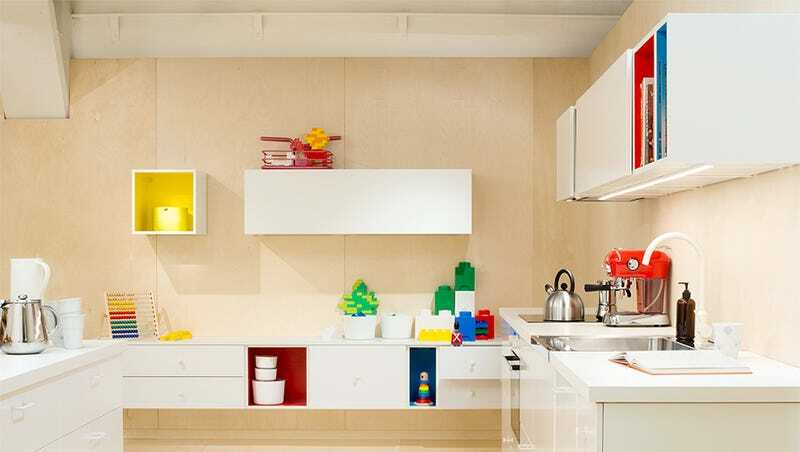 IKEA’s team spent five years on design alone, tailoring each element of the system to fit their stringent manufacturing and shipping requirements. In some cases, that meant retraining thousands of employees—not just in IKEA stores, but along a complex supply chain that begins with sourcing materials and ends with shipping the finished component. But before design entered into the picture, the company’s team of strategists do a thorough, almost anthropological study of what contemporary life looks like in 38 countries. That means dozens of trips, home visits, and case studies focusing on everything from how families store their knives to, as the WSJ notes, the changing role of kitchen appliances (“we want to show off our pots and pans," says creative director Mia Lundström).